In flipping through a magazine, it’s likely that many of the smiles you see are a product of porcelain veneers. These wafer-thin shells of tooth-colored materials are uniquely designed to cover the front surfaces of teeth to enhance their appearance. Remarkably, veneers can change the color, shape, size and length of teeth, and mimic the light reflecting qualities of natural teeth (WebMD). 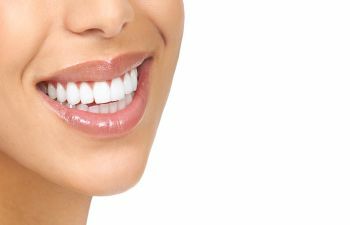 Thus, it’s easy to understand why porcelain veneers remain a highly preferred solution for obtaining one’s dream smile. Though porcelain veneers are an elective dental treatment, they are also used to restore and fix a number of dental problems. For instance, when teeth become discolored following a root canal or dental trauma, or if teeth have become stained due to medications or excessive fluoride, veneers brighten them. Moreover, when teeth are worn down, broken or chipped, veneers re-shape teeth and provide an even appearance. The same is true when teeth have gaps or are misaligned, as veneers close the space between teeth and cover craters and bulges. The process of getting porcelain veneers usually requires two visits to the dentist, with treatment planning and preparation. Yet, each veneer is customized, and worth the time it takes to obtain a natural, seamless transition to one’s new smile. Prior to the final bonding of the veneer, a dentist will temporarily place the veneer on a tooth to examine its fit and placement. It is critical that a patient’s bite is preserved and protected. At this stage, the dentist is able to remove the veneer and trim it accordingly. Furthermore, the brightness and color of the veneer can be adjusted. Once the veneer is bonded and hardened with a special curing light, final adjustments are made, if necessary. Without question, porcelain veneers are not a one-size-fits-all dental procedure. Rather, they represent a personalized, yet conservative approach to obtaining a smile that suits one’s appearance and goals. Dr. Contractor and the team at Kennesaw Mountain Dental Associates want you to know—if you weren’t born with a Hollywood smile, you’re not alone. The good news is that with porcelain veneers, you can have the smile that you’ve always wanted. With a careful blend of artistry and advanced skill, Dr. Contractor invites you to call today if you are interested in custom dental veneers that will change the face of your smile.